Buy 2 or More, $9.95 each! Fair warning to those around you, at home or the office: no talking until your first cup of coffee is almost gone. 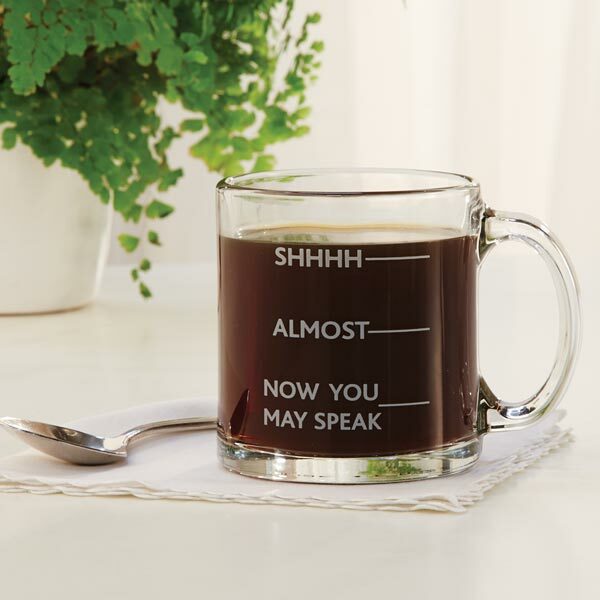 The king of funny coffee mugs, give this to the grumpiest caffeine addict in your life and watch them smile, or get one for yourself if that person is you. Microwave safe. Hand wash only - do not place in dishwasher. Made in USA.